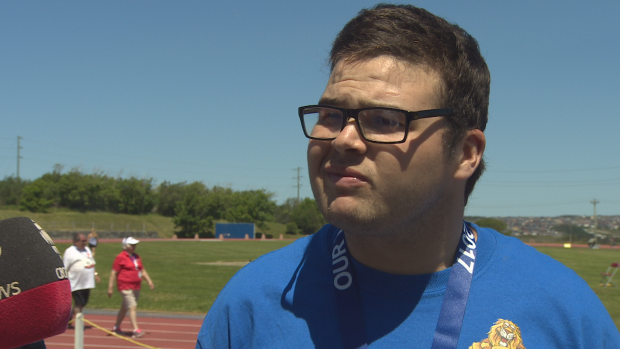 More than 600 athletes from around the province are in St. John’s this weekend, gunning for gold medals and lifelong friendships at the Special Olympics Provincial Games. The competition is broken down into seven sports, taking place at fields, clubs and bowling alleys all over the northeast Avalon. One of the athletes looking to score big this weekend is Michael Coulter, who has a heavy load of track and field events. 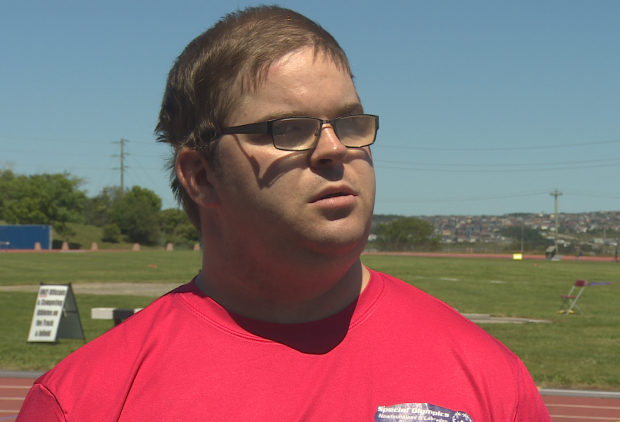 In his fifth year competing, Coulter is tackling the 100-metre and 200-metre dashes, along with the long jump and shot put. He trains every Wednesday night, handing out big thanks to his two coaches for giving him the skills and attitude. “I love it and it doesn’t matter to me if I wins or loses,” he said. The event, held every two years, alternates between winter and summer sports. Coulter’s attitude is shared by many of his peers at the track and field events on Friday. 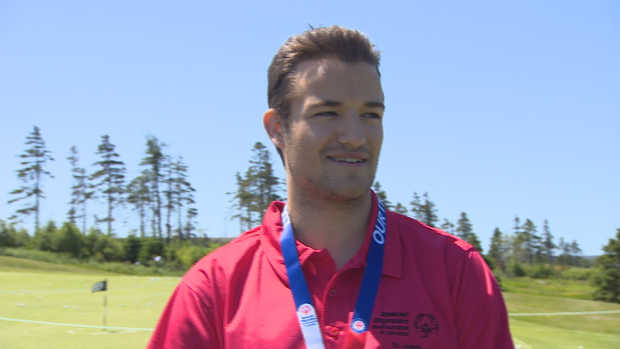 In his first year competing, Hann hopes to bring home gold medals in all five of his events. 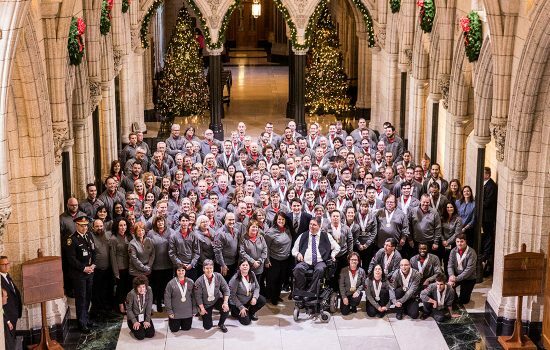 Trish Williams, the executive director of Special Olympics N.L., said that kind of passion is common among all the athletes. “At the end of the day, it is sports,” she said. “They are super competitive, but there is also a lot of really sportsmanlike behaviour we see all the time. Matthew Downer, who coaches golf in the summer and floor hockey in the winter, said he enjoys the games just as much as the athletes. “The experience they take away from [these games] is really a wonderful experience for me to be able to see,” he said. 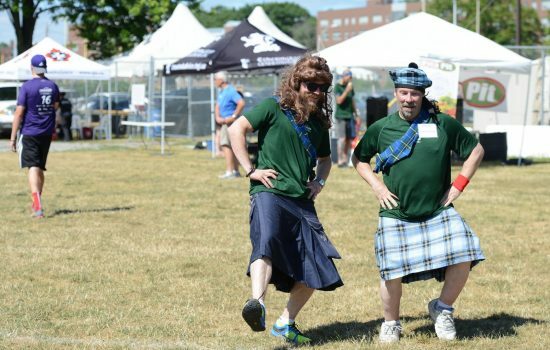 For a list of events, check out the Special Olympics Newfoundland and Labrador wesbite or follow along on their Facebook page. Closing ceremonies take place on Sunday evening at the RE/MAX Centre in St. John’s, starting at 7 p.m. and wrapping up at 10 p.m.